Bahu Hamari Rajni Kant is one such show which succeeds to wrap up laughter for the audience in every episode. Rani’s cute robotic act and dialogue delivery, adds much humor to the scene. Rajni and her female gang compete with men in arm wrestling competition. Rajni leads their team and wins. Amrish announces Rajni versus Shaan’s arm wrestling competition. Rajni defeats Shaan in the competition with ease and wins. Surili makes Amrish and all the guys clean the home. Later on, Samaira tells Rajni that she has Shaan’s heart beats in her heart. Rajni gets into a doctor avatar. She runs after Samaira to take Shaan’s heart out. 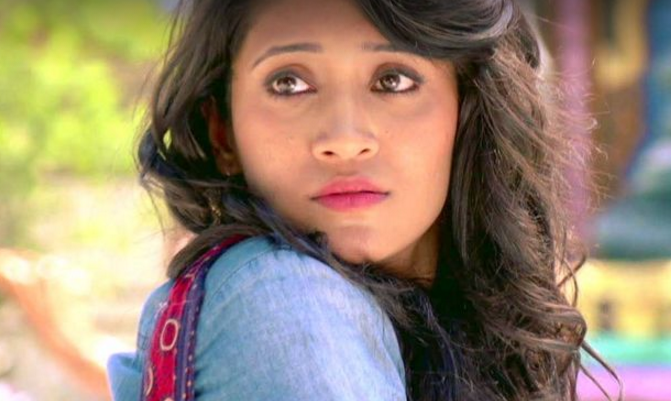 She gets a scissor and wants to get Shaan’s heart back from Samaira. 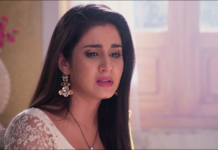 Rajni misunderstands Samaira’s words and insists Samaira to return Shaan’s heart. Rajni is helping Samaira in her way to get Samaira her heart and return Shaan’s heart to him. Amrish explains Rajni that Shaan is of only Rajni. Rajni understands him and returns the scissor. The scene turns very comical to watch, as Rajni runs after Samaira with huge scissors.